Stirling Council is piloting a pioneering new service which will ease the financial difficulties experienced by some families after the loss of a loved one. Elected Members yesterday (Thursday) gave their resounding backing to ‘Direct Funerals’, the brain child of Cemeteries Service employee Thomas Rennie. At yesterday’s final Full Council meeting of 2018, councillors heard that recent figures published by the Citizens Advice Bureau suggested, of Scotland’s 55,000 funerals annually, 10 per cent of families struggle to pay the bill. Direct Funerals aims to address that by having the Council assume and provide several responsibilities normally associated with funeral directors. The national average cost of a traditional funeral is £3,600 but the Council’s pilot will offer an affordable and dignified alternative to families who already have access to a lair across Stirling. It will cost £1,800 – a combination of the existing internment and lair fees - with Council staff taking on extra responsibility for liaising with the family of the bereaved, contacting a local funeral director, carrying the coffin and controlling the cortege, as well as handing out cords for the lowering of the coffin – all at no extra cost. Council Leader Scott Farmer led the praise for the project and spoke of his own personal experience in dealing with the immediate aftermath of an unexpected death in his family. “Funeral poverty is a serious problem and I’d like to thank Tam for his idea,” Cllr Farmer said. “I appreciate it and I remember only too well when I lost my own parents while studying at the University of Stirling and having the anxiety of going through that and the funeral costs. “I was fortunate to have a big family but we’re not all in that position. I empathise with people who face these difficulties at unexpected times and I congratulate you for bringing this forward and look forward to an update where we can market it. “It’s a matter of having the knowledge out there so the last thing on the minds of people in this situation should be how they’re going to deal with the financial consequences. Through the new service, families will be expected to provide their own transport to the cemetery, arrange floral tributes and organise the graveside service. The Cemeteries Service will monitor and assess the new initiative over the pilot period which will guide its future delivery. 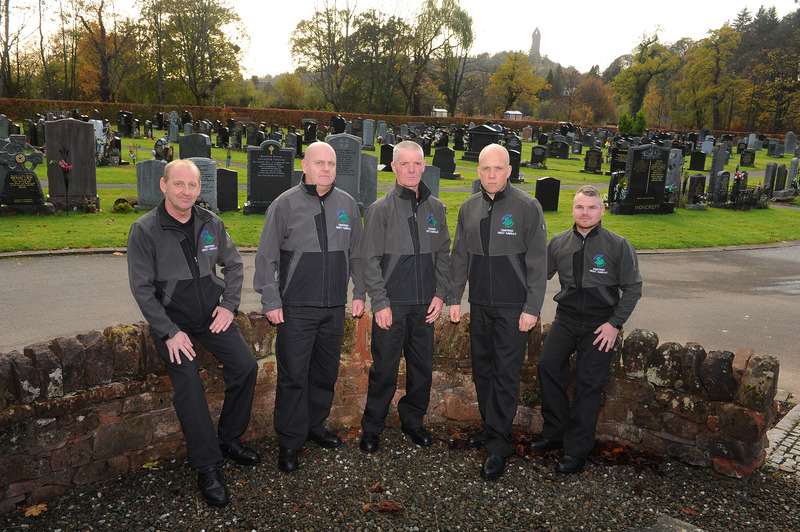 Tam (55) has worked for Stirling Council since 1994 and in the Cemeteries Service for past 17 years. He developed his plan through a scheme called The Lens, which is run through large organisations across the UK, including Stirling Council, and helps employees develop ideas. After being successful in the initiative, Tam pushed on with his research and was proud see his vision become reality. He said: “By speaking to families, I know the financial cost of funerals can be a real struggle for them. “This gave me the idea for the Council to deliver more of the service to reduce the financial burden on families. “I’m really proud to see Direct Funerals become a reality through the Lens at yesterday’s meeting, but there has been a real team effort in putting this in place involving many people in the service and within the Council. Depute Leader of the Council, Cllr Danny Gibson, added: “As Councillors, we are very much aware of what a sensitive and valued public service our cemeteries provision is to members of the public who rely on us in a time of need.